Customs Duty Bill allows only for coastal ports….. In dealing with the Customs Duty Bill, and its two tandem enabling Bills, and talking to representatives of SARS and those advising them, there can be no doubt that SARS is working on the basis that current losses to the fiscus due to fraud and avoidance on matters regarding customs duty must be in the region of R4bn to R5bn, based on conservative estimating. A weak link in the customs collection chain is cited as the line to City Deep and the terminal itself. No official statement on an estimated figure however can be given, such issues are unproven and unquantifiable, they said, but if current SARS customs revenue is estimated this year at R50bn then a simple loss of 10% will produce such figures. The massive Bill, drafted purely by SARS, clearly defines that the customs system in South Africa will change and customs clearance will have to be at a coastal port and that the present system of allowing uncleared goods moving to an inland port will cease. In responding to all the points made during public hearings, Kosi Louw, chief legal advisor, SARS, stated that it will proceed with its tabling on the basis that clear procedures for all stages of the supply chain are set out, monitoring of all stages are more easily monitored by SARS and that the increase in penalties are necessary. A major concession allowed made by SARS is to include a “fallback” clause; in other words, if the new system imposed by SARS is found not to work or should fail in practice, then SARS would allow automatic reversal to the original situation; i.e. 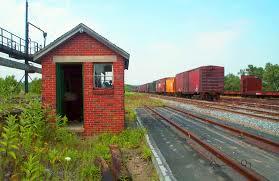 to allow inland ports. Kosi Louw said, however, that he was convinced that the new system would not only work but save the country a lot of money. Most of the points raised by BUSA and JCCI were rejected by SARS in the light of the fact that the national interests that arose simply because of the vast amounts of revenue that were being lost to the fiscus. 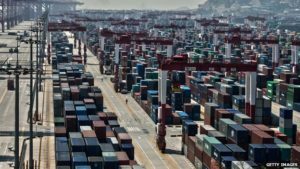 The new Bill brought about few changes in the trading positions of both importer and exporter, they said. SARS is insistent that it does not wish to close inland ports, stop container flow, congest the ports or discourage the use of rail or disrupt legitimate trade. However, now that so much digital flow of information is in the form of electronic transmissions rather than paperwork, it is time for SARS to undertake better risk assessments, Louw said, asking for more information that can be easily provided and to provide earlier information to traders and stakeholders so as to plan their supply chains, working on a basis of 1-2% interventions representing investigations. Goods cannot continue to move purely on the basis of a manifest to an inland port, such manifest not containing tariff, value and origin to determine risk, they said. Thus with no manifest, the goods must in future be cleared by the importer at coastal locations and goods imported by them, not the supplier. Liability therefore becomes an importer’s issue as the ship docks. On the JCCI issues raised that traders will have to change their contracts of sale; sellers will be reluctant to sell goods under the new terms; importers will be badly affected and that delays and congestion will occur at ports, SARS has rejected all these points. On the issue of CIF determinations, supply contracts and bills of lading, SARS confirmed that they had taken legal advice from Prof, Eiselen, a trade law expert; a maritime law expert, Adv Pammenter SC and Adv, Joubert SC, a customs law expert and no process of importation will be affected at law, they were advised. A problem was ‘grouping” where say five parties shared a container to import goods where they could not fill a container alone. All five must submit customs clearance forms at coastal points and if one member of the grouping had a problem, then the whole container would be stopped, said Kosie Louw but this only represented 1% of all containers used, they noted. On the issue that JCCI raised that the new Bill was in contravention of World Trade Organisation (WTO) treaties, SARS disagreed, They were party to the discussions with WTO and it is quite clear, they said, that any importation was subjected to national regulations imposed. The moves in South Africa followed similar moves in Canada, the UK and Russia where specific information is now obtained. Where long distances by road and rail to inland bond points occur, enormous losses to the fiscus in those countries were occurring. The losses at City Deep, Johannesburg, are as high as 26%. Three days are required for a clearance of goods that arrive by ship and penalties will arise after three days. The implementation of such changes will be delayed by 12 months once the Bill is passed and “a clause will be inserted to allow for consideration of unintended consequences”. 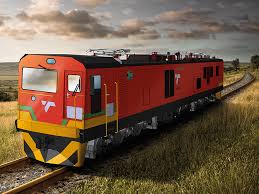 Freight forwarding associations and ship operators and their agents also supported the Bill, SARS said, as did Transnet. In conclusion SARS said that they cannot allow the movement of goods to such a points as City Deep without proper information, such systems now being purely electronic moving from any manual paperwork. In answer to questions, Louw said that customs control officers at the port no longer would make the decision whether or not to allow through a container. The containers themselves would be cleared or would not be cleared by the new electronic system that received the importer’s information, even interventions would be instructed by the system. Under questioning, SARS repeated that the seller’s risk ceases at the point of loading the ship in a foreign port after CIF is paid. The only thing that will change is that there is no manifest to clear goods required but a new customs clearance procedure at point of landing by ship at the SA coast or at a border. The first stage of clearance will be in advance, or provisional, and a final release then issued. Finally, in answer to the question as to whether SARS felt that the Bill would damage in any way South Africa’s trade relations or trade figures, SARS denied that it would. It was “just a question of SARS getting better and smarter in the fight to raise more for the fiscus”. The whole system was predictable for all parties, Kosi Louw said, and all carriers have said it will make no difference to trade. There was no change to the legal status of inland ports, SARS, said. Final rules and regulations can only be issued once the Bill under debate was passed but at this stage the Bill looks set for final approval. Refer previous article in this report.